A lovely upright Acer palmatum tree with large leaves which are light green with a strong flush of pink in spring, developing through the summer into bronze/purple with pink blotches and then turning a wonderful autumn red with gold tinges - unusual leaf colours and plenty of interest right through from early spring until leaf drop. Acer palmatum Wakehurst Pink is a compact variety reaching only 2.5m eventual height with a modest canopy of about 1.5m - so it's an entirely suitable tree for small gardens and patios. As with all Japanese Maples, a sunny or partially shaded sheltered site is best. 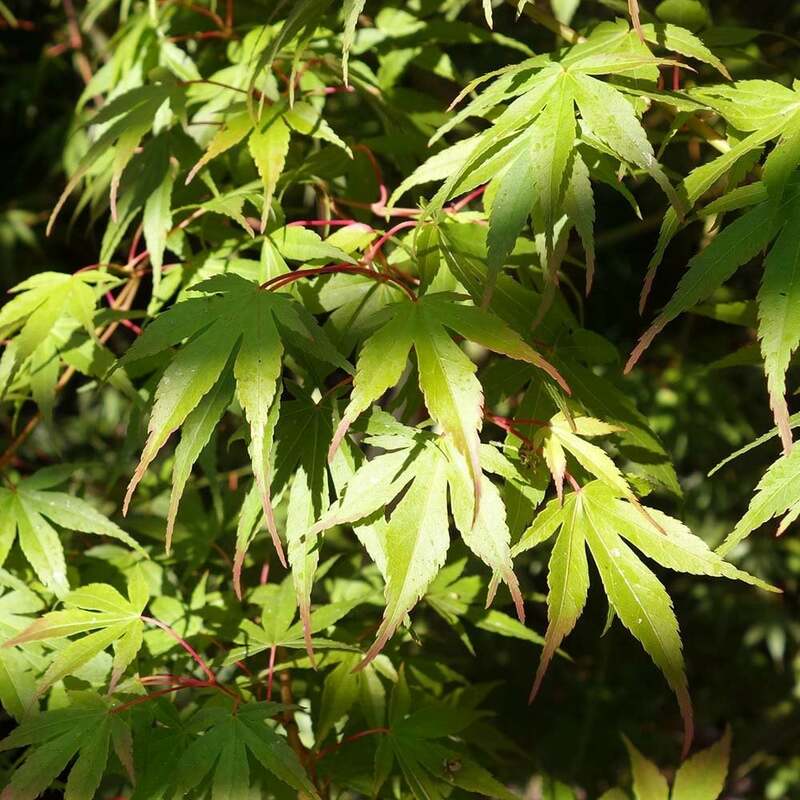 Pot grown Wakehurst Pink Japanese Maples can be planted at any time of the year. Firstly, remove all weeds and grass within a metre of your desired planting hole then dig a square hole as deep as your root mass and approximately 2x as wide. To help your tree establish more effectively, we advise sprinkling root grow in the hole, especially if you have poor soil.